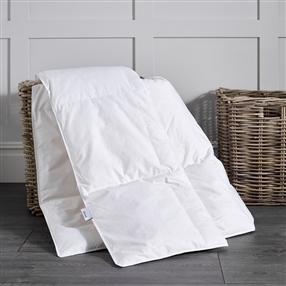 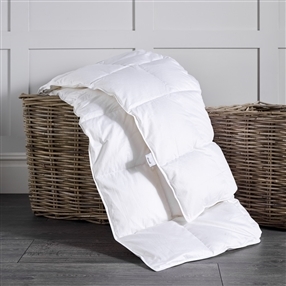 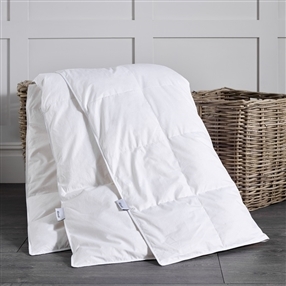 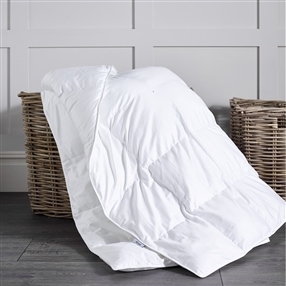 These duvets contain a blend of 70% small fine duck feathers and 30% fluffy white high loft down, this high down content ensures ultimate warmth to weight ratio. 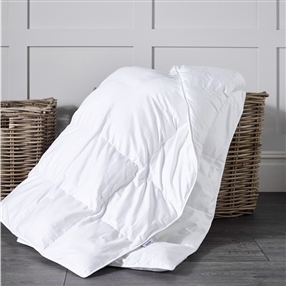 The outer casings are high quality 233 thread count 100% cotton down proof cambric with a piped edge. 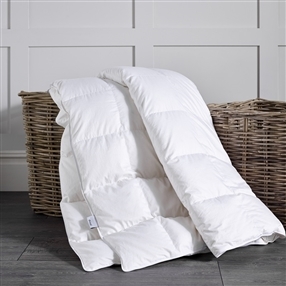 The lightweight feel of these duvets makes you feel like you are sleeping under a cloud.